In Part 2 of our series about the challenges and opportunities for accelerating organizational change, we discuss how to build momentum for the change initiative by creating awareness and energy for change and determining how to overcome organizational barriers to change. It is true that never in a time, in our own history, have we ever experienced an economy such as the one we are in today. The sense of doom and gloom can be very discouraging. But these kinds of crises – 1873, 1929, and 2008 – don’t come around too often, and they force people to think in a new way. Rather than ignore this turn of events, today we have to ask ourselves and our organizations – what are we going to do to get through this crisis–because it affects us in all aspects of our life? Understand the challenges and the opportunities that are associated with it. Apply it as a process that is carefully managed and implemented. Before I share the story about Electra Company, we must understand and accept the fact that no two change processes look the same. It is unlikely for change management techniques to manifest themselves in the same way twice. Each change is different, each organization is different and each department within an organization is different. As well, the customers are different. Furthermore, our world situation is not the same today as it was even 5 years ago because the circumstances right now are different. Hence, the structures are different as well as the drivers for change. If managing change was easy, we wouldn’t be struggling with the issue of organizational change, it would be apparent. We will have seen it work and would know we could duplicate it. But we do struggle with how to manage change, how to introduce change, how to make the change journey different and how to sustain it. We must engage everyone in the change. It is not complex but it is a journey. This journey must be started quickly – with a run – to demonstrate some quick wins before the longer road ahead. We began our journey with the Electra Company by helping them form a Steering Committee of 9 individuals representing the Human Resource Department, Accounting, Marketing, Production, Quality, Sales and Customer Relations. They were not all management. Some of the representatives were from supervisory positions in these departments. Once the Steering Committee was formed, we took them off site for a three-day planning session. At this session, they identified their roles, responsibilities and mandate. They developed a communication plan and a high level but well-defined plan on how they would successfully implement their mandate. This sounded simple but they really needed the full three days to complete. One of the committee’s first tasks was communication to employees about the change initiative. At this point in time staff was unaware of the fact that a change initiative had been started. Therefore the first communication to staff was to let them know why management felt that change was necessary and to ask them to complete an anonymous survey that would help management identify the requirements and scope for organizational change. The survey results for the Electra Company identified an organization that was: risk aversive, had previously handled change badly, managed by crisis and fire-fighting, had a management team that said one thing and did another and did not recognize employee suggestions. Participation in the Organizational Change Survey included all staff and helped to create awareness among the staff that something was possibly going to happen. They didn’t know exactly what it was or how and when things would change but the sense of anticipation was a necessary part of engaging employees early on in the process. With the results of the Organizational Change Survey in hand, the Change Steering Committee was now ready to bring all staff together for a formal communication and kick off to the change initiative that was delivered at an all-staff meeting. As part of the first two steps towards achieving change staff was then told to come up with a name for the change initiative project and to attend small group sessions so that they’d have an opportunity to discuss what they thought would be necessary to make change happen rapidly in the Electra Company. The winning name for the change initiative project was awarded for “Project Thunder.” A small group of some of the more creative staff got together and independently created a logo for the project name. They built a scene with clouds and thunder bolts, which was later used in project communications. It was great to already start to see some enthusiasm for the possibilities of the change initiative. This small group determined that each bolt of lightning would be linked to the realization of key milestones in this change journey, once identified. Awareness and energy is created when leaders throughout the organization band together to guide the transformation process. These leaders will ensure that a powerful guiding coalition is formed and they will become the Change Steering Committee. As the Change Steering Committee, they will oversee the entire change journey to ensure it stays on track and are an on-going, not temporary, body. We have found that a team of up to eight (8) members works best although some organizations have more. They should be comprised of a mix of both management and staff. It is more difficult to get decisions made quickly in larger teams. A member of the senior executive team or preferably, the President, will be the sponsor of this change initiative. The Change Steering Committee will be required to develop a mandate and success measures for the change initiative. Since the Change Process often requires the formation of additional sub-committees as the process moves forward, it is not necessary to have too much variety in the actual positions selected for the steering committee. It is more important to ensure that the Steering Committee is comprised of a large enough group to be able to make decisions quickly. The first thing they must do is to identify the change readiness within the organization. The fastest way to do this is to undertake an Organizational Change Review specific to change readiness. Organizational culture is the commonly held attitudes, values, beliefs and behaviours of its employees. The culture of an organization is as unique and diverse as an individual’s personality. If the employees of an organization believe that change is something to be feared and avoided, then change implementation must consider this. If the employees believe that all change should be aggressively implemented “from above”, then change is seldom supported. However, if the employees of an organization believe that change is worthwhile and everyone’s responsibility; then change and growth occur with relative ease. These are the few “excellent” organizations that continue to excel in their industry. An Organizational Change Review will assess the organizations state of readiness for change. As well, it will identify and address organizational forces likely to drive or impede cultural change and will identify the current culture and the “ideal” culture for the organization. This review process begins with a Organizational Change Survey. A Organizational Change Survey is not the same as a satisfaction survey. This is not a survey to find out if employees are happy or like their benefits, etc. The survey is aimed at identifying the behavioural requirements for working in the organization at this time. It is a risk aversive culture? Or is it a culture of fear? Is it a culture of innovation? Or is it a culture of continuous improvement? Is it a culture that is customer focussed, and so on? Understanding how employees interpret the organization’s current work culture will directly impact each how we apply each stage of the rapid change process. It is important for employees to be able to anonymously respond to questions posed by the Culture Change Survey in order to receive an accurate picture of the organization and be able to successfully drive change. We start the organizational change review by sending out a web-based questionnaire to all employees. This gives them an opportunity to anonymously respond to questions related directly to the current culture and their perception of the readiness for change. The survey’s final report will help drive the rapid change process so that the change journey will be successful. Potential roadblocks and apparent opportunities will have been identified. After completing the Organizational Change Survey, the Electra Company’s “Project Thunder” was able to identify the current organizational culture and to gain a description from the employees of what the ideal culture might look like. However, it was apparent that many employees were still sceptical and worried about the change initiative. While there were some employees ready to embrace change, many weren’t entirely buying into this journey. They were feeling distrust of each other and the messages because in the past change initiatives they had experienced hadn’t been handled well. The Steering Committee realized that the change journey had to progress quickly so that changes could be seen. By engaging staff in group sessions to reflect on and share experiences and legacies, they gave employees a way to describe how they thought change should be managed and a sense that maybe they would be “listened to” this time. This allowed individuals to recognize that it was time for them to move forward with the change. As a result of the Organizational Change Survey and the staff sessions, the steering committee of Electra Company was now able to move forward in their change initiative and create their vision for change. Every change initiative will run into roadblocks because it is human nature to resist change, even when change is for the better. Therefore, it is important to understand the possible barriers your change initiative is likely to face ahead of time. This will prepare the Steering Committee for what may lie ahead in the journey to change and allow them to develop strategies to manage the organizational transition. As previously mentioned staff engagement is a critical component for successful change initiatives. Staff feedback through the Organizational Change Survey is only one part of engaging the staff. After the survey is conducted, it is important to also give all employees an opportunity to express, in more depth, what they want to see and what they don’t want to see on this journey so that they are able to reflect on and share key experiences and legacies of the work done in the past and are able to recognize the time to move on. To provide staff the opportunity for this form of “venting” it is advisable to conduct explorative group sessions for all staff that include structured, in-depth questioning. Sessions may be conducted by either a professional facilitator from outside the organization or an internal facilitator who is respectful of the confidentiality requirement for the task. In group sessions, employees are divided into smaller teams in which they are given a chance to describe, in depth, their prior change experiences as well as their hopes, dreams and wishes. As part of the process there must be an opportunity for people to feel secure that they may speak freely, in a safe environment of trust and openness. 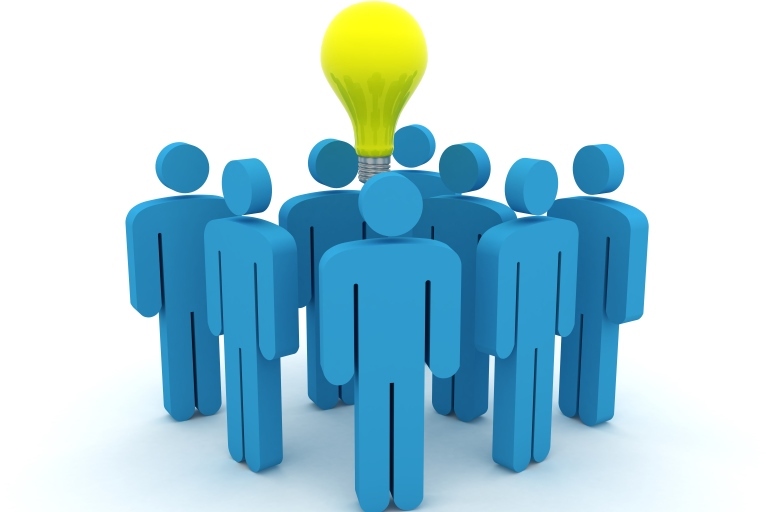 In large organizations we have facilitated large groups of employees. The group is sub-divided into smaller teams and asked to respond to structured questions focusing on how they have felt about the past and how they are feeling about the present. One caveat for this process is to make sure you have skilled facilitators who are able to help move discussions away from the negative and towards the positive. I’ll continue the story of Electra Company’s Rapid Change Process and more about the challenges and opportunities for accelerating organizational change in Part 3 of this article series.